The Keyxentic Smart Token crypto wallet hardware has arrived and is set to change the way crypto is stored and also promises to change the way cryptocurrency transactions are made. In addition to functioning as a cryptocurrency wallet, the Keyxentic Token can also encrypt all of your data with your fingerprint! What is the Keyxentic Smart Token? Highly lauded as the first of its kind, the Keyxentic Smart Token uses newly developed proprietary technologies to secure all of your data and cryptocurrency holdings with biometric encryption. With this new technology, your fingerprint authenticates your identity unlocking powerful encryption software to secure all of your data including your cryptocurrency investments. The Keyxentic Token uses a combination of core encryption components to protect passwords, emails, files, digital data, and cryptocurrency transactions with bio-secure access management identification and authentication. If you want to encrypt your emails you first must study the reliability of several email encryption software solutions and hope you have chosen the most secure from the dozens of email encrypting solutions available on the market. You must also choose from a plethora of different software packages for encrypting digital data on cloud servers with some cloud encryption software only functioning with specific cloud servers. The same can be said for encrypting PDFs, there are dozens of encryption solutions to choose from if you need to secure your PDF files. With the KeyxenticToken you can do all the above and secure your cryptocurrency assets while making anonymous crypto transactions. The Keyxentic token is a truly disruptive technology that radically changes the ability of people to protect their privacy while empowering them with a robust encryption suite literally at their fingertips. The Keyxentic Token was developed by a team with a strong cybersecurity pedigree in Taiwan. Before the development team founded Keyxentic Inc. they developed numerous government and enterprise cybersecurity solutions including Taiwan’s Digital Citizen Certificate and E-passport issued by the Interior Ministry Certificate Authority of Taiwan to protect the identities of more than 10 million Taiwanese, mostly from mainland Chinese cyber threats. They also developed several widely used integrated bio-authenticated solutions for global banks and international hospitals. 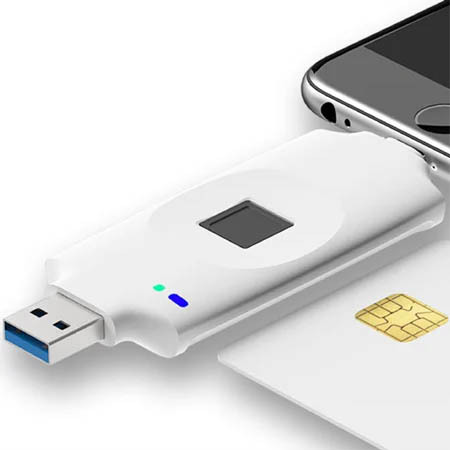 With the three newly developed proprietary technologies, the Cryptographic Acceleration chip, Fingerprint Secure Element Chip, and the Fingerprint Match-On-Card Multi-Modal Smart Card Safe Key backup the company’s stated mission is to provide a simple and intuitive data encryption solutions for the daily lives of everyday people. It’s rare for new disruptive technology to come along that is able to revolutionize more than one marketplace at the same time, however, that’s exactly what the Keyxentic Token has achieved. This new innovation will facilitate a powerful and affordable cybersecurity solution for individuals, professionals, and businesses not previously imaginable while at the same time as preserving cryptocurrency capital resources. The Keyxentic Token takes the guesswork and long learning curve out of the equation when considering encryption solutions. With the new extraordinary technology developed by Keyxentic Inc., there is now an unparalleled level of cybersecurity and privacy available to everyone. How 0xowns.art make ownership into ArtWhat is Bitcoin Mining?